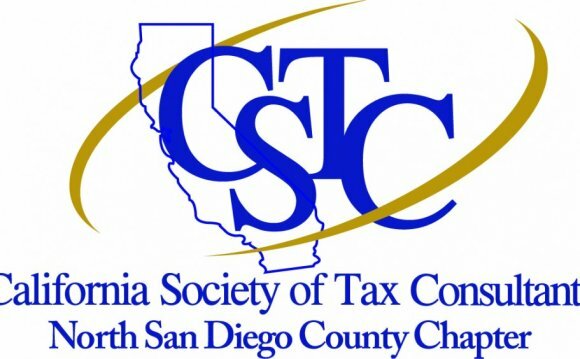 The California Society of Tax Consultants, Corporation, (CSTC) is a nonprofit organization for the advantage of tax professionals throughout California since 1966, (formerly referred to as ISTC), and provides quality education along with other benefits. Like a accountant, accountant, Enrolled Agent, or CPA you can engage in everything CSTC needs to offer. Programs cover a large spectrum of tax subjects which are approved for CTEC, EA &lifier CPA credit. CSTC people receive discount rates on occasions. Non-people are thanks for visiting attend the conferences, workshops, sign up for our e-newsletter, etc. WHEN? All of our Sections in California has monthly conferences within their area. Conferences provide valuable education credits, dinner &lifier networking possibilities. WHO? Individuals who wish to understand more about tax laws and regulations, preparation, and tax-related subjects. PROFESSIONALISM: Achieve professional status by owned by a top organization founded in 1966. CSTC people provide code of ethics and quality education. EDUCATION: Stay alongside of tax laws and regulations with this professional education monthly conferences, workshops, training courses or perhaps a fundamental 60-hour tax course. We offer tune-up training courses just just before tax season. Education is reduced for people and it is offered in locations throughout California. People also get a monthly e-newsletter using their chapter. NETWORKING: Receive the help of other tax professionals with: researching tax laws and regulations, coping with IRS, FTB, SBOE and EDD issues, practice management strategies to expand your company, professional assistance in choosing library, software &lifier hardware items. member’s understanding of client information. 3. No member shall violate client discretion except where needed legally. reviews to people, clients or government departments. 5. No member shall advertise inside a manner not approved by Circular 230. 6. It will be considered dishonest to solicit business in the clientele of some other Society member. H. Lee Moffitt Cancer Center & Research Institute opened on October 26, 1986, on the Tampa campus of the University of South Florida in Florida, United States. The current President/CEO is Dr. William S. Dalton.